Style #077: Beautiful Gibeon Meteorite Engagement Ring set with a sunning trillion facet Chatham ruby in 18k rose gold. 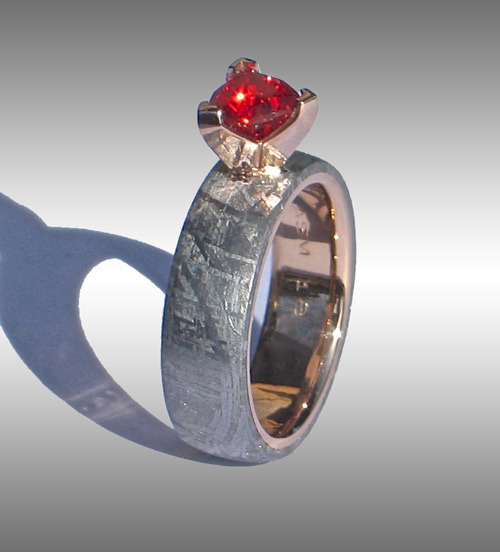 This gorgeous ring is shown in a size 5.5, x 6mm width. Also available with platinum, yellow or white gold linings. For current pricing please enquire!